PARTNER NEWS: Prepaid card processor Tutuka has begun the implementation of digital payment solutions provider Proxama’s Digital Enablement Platform (DEP) for a fully independent cloud-based payment (CBP) solution in the Middle East, Asia and Africa. “Proxama will provide a full end-to-end solution for both MasterCard and Visa CBP specifications, including payment application, account management, credential management and EMV transaction processing,” Proxama says. London, UK, 26 April 2016: Proxama PLC (AIM: PROX), an international provider of digital payment solutions for card issuing banks and processors, is proud to announce that Tutuka, a leading prepaid card processor in the Middle East, Asia and Africa, has commenced implementation of Proxama’s Digital Enablement Platform™ (DEP) to provide a fully independent cloud-based payment (CBP) solution. After considering options for an outsourced scheme-based solution, Tutuka selected Proxama for ease of implementation and the benefits of flexibility and control provided by having an in-house solution. Proxama will provide a full end-to-end solution for both MasterCard and Visa CBP specifications, including payment application, account management, credential management and EMV transaction processing. The platform is based on Proxama’s award-winning EMV products that are managing the issuance and processing of hundreds of millions of EMV cards around the world, and has been optimised for simple integration, with minimal disruption to existing issuer back-office systems. In-house tokenisation will be introduced as a second phase. 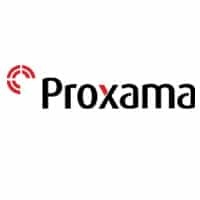 Proxama PLC (AIM: PROX) is an International mobile commerce and payment solutions company. Proxama provides end to end digital solutions to banks and card issuers to securely transition their card portfolio onto mobile for Near Field Communication (NFC) contactless payments as well as solutions for EMV Enablement, Electronic PIN Delivery, Tokenisation and Smart Card Management. Proxama’s award-winning mobile proximity marketing platform, TapPoint®, enables brands to connect physical and digital assets via mobile to increase consumer engagement, retail sales and loyalty across a network of high footfall locations.